Brown spots, melasma, freckles. These are all words to describe areas of the skin that are pigmented due to sun exposure, medications, or genetics. REVIVE bleaching products are used to suppress pigmentation in order to lighten hyperpigmented areas. The least invasive way to treat hyperpigmentation is by bleaching. More invasive ways to treat hyperpigmentation are chemical peels or laser surgery. It is best to try different bleaching creams first and if you aren’t seeing the results you desire after three to six months, consider your other options. You are advised to avoid exposure to the sun as much as possible when utilizing this product. The sun is what increases the production of Melanin and can reverse your efforts of reducing darkened areas of skin. Try to utilize as least a broad spectrum SPF 50 or higher when outdoors and wear protective clothing to protect other areas of skin on your body. REVIVE Retin-A is a topical applied to the skin that helps the skin renew itself. The Retin-A is used to treat acne and is used to reduce the appearance of fine wrinkles and mottled skin discoloration, and to make rough facial skin feel smoother. A combination of 3 compounds that decrease the overproduction of melanin while diminishing the lines and wrinkles. For treatment of dark spots from the excessive sun exposure post inflammatory hyperpigmetation and discolorations due to melasma. Tri-level also soothes and rejuvenates damaged skin. It works best when used in combination with a daily regimen that includes sun protection. Searching for the perfect facial sunscreen? 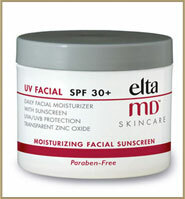 ELTA MD UV Facial SPF 30+ is an elegant, lightweight, and hydrating sunscreen that protects from both UVA and UVB damage without clogging your pores or leaving a greasy finish. It is formulated to be used either alone or under your makeup. This soothing formula provides relief to dry, itchy skin by binding moisture to the keratin in the skin cells. This action keeps the cells plump, supple and perfectly hydrated. Ideal for daily use on the face, hands and body, ELTA MD’s Lotion prevents damage caused by environmental aggressors, hand washing and harsh climates. The delicate formula is non-comedogenic, fragrance-free and suitable for all skin types. ELTS MD MOISTURIZER melts on skin contact to help skin retain moisture for 12 hours. Waterproof. Safe for sensitive skin, non-comedogenic and fragrance free. Works well for diabetics and others with dry skin problems. Concentrated so only a little is needed. Grow your own lashes, LONGER, FULLER and DARKER. This product is absolutely amazing. LATISSE is an FDA-approved prescription for the treatment of hypotrichosis used to grow eyelashes, making them longer, thicker and darker. Hypotrichosis is another name for having inadequate or not enough eyelashes. Stay covered with wide brimmed SUN HATS. We offer unlimited styling while blocking UV rays. We provide the best selling sun hats designed for optimal UPF 50+ skin health and sun protection. Our SUN HATS provide the most comprehensive UV coverage available in any sun hats and have been awarded for its unique sun protective design details. Feeling nearly weightless, it remains cool and comfortable all day regardless of activity.